MONTANA is a fascinating three-dimensional wire mesh that offers complex light reflections. It consists of a three-dimensional outer layer and optionally a support backing mesh. 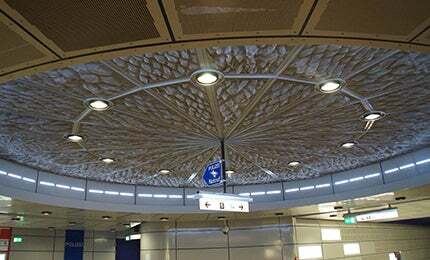 Optimally used for acoustic systems whether as wall or ceiling cladding.